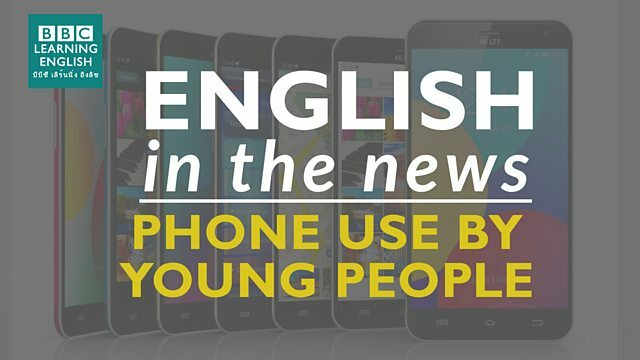 Analysis of mobile phone use in Britain and the US suggests young people are more reluctant to make calls on their devices, preferring to text or use instant message services. What did Sian say about the tense and prepositions? I'm so annoyed! I phoned my son to tell him not to come home too late and he ______ me! Which verb means 'get rid of' ? My car keeps breaking down - I think I'm going to ______ it and buy a new one. For example Sian said the newspaper headlines this week said: 'Clare arrives in the UK'! Why do newspaper headlines often use the present tense?